Racing fans on Preakness Day, Pimlico Race Course, Baltimore, MD 5.19.2018. 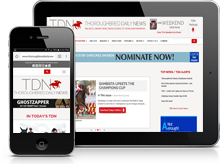 The northern section of the Pimlico grandstand will be closed. The closure is in effect for the full Pimlico meet, including the GI Preakness S. and GII Black Eyed Susan Day. The decision was made following the recent Maryland Stadium Authority study that concluded that after over 100 years, Pimlico Race Course had “reached the end of its useful life.” The Maryland Jockey Club engaged a Baltimore based independent engineering firm, Faisant Associates, to assess the facility and the firm concluded that there has been significant deterioration to the northern part of the grandstand, the exterior portion of the facility adjacent to the Clubhouse. The northern grandstand is the oldest portion of the structure dating back more than a century, with seating capacity for 6,670 guests, and is no longer suitable to sustain that level of load bearing weight. 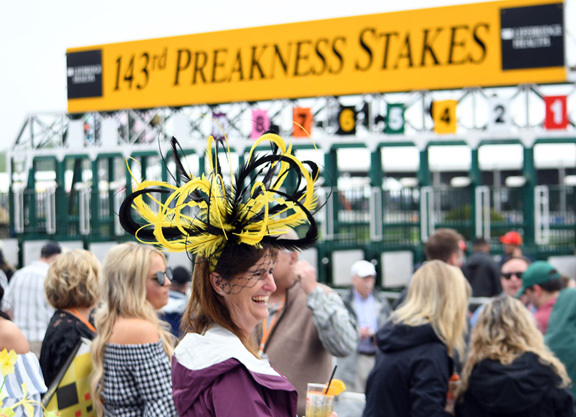 Ticket-holders who have purchased tickets for that section of the grandstand for this year’s Preakness will be able to trade in their tickets at face value for similar seating. Ticket-holders may exchange their tickets between now and May 1st.